Did You Know: 1 in 5 children wet the bed, 1 in 13 adults suffer from incontinence, 1 in 3 adults are allergic to dust mite byproducts and 1 in 2 adults are allergic to other allergens such as animal dander? 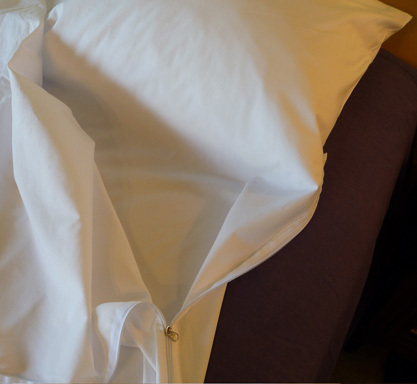 The Gross Factor: In this day and age of cutbacks and overworked or underpaid employees, do you think every hotel bed is changed every time by every housecleaning employee? What about the blankets and bedspreads, how often do you think they are washed? More importantly, the place you lay your head, the pillow. 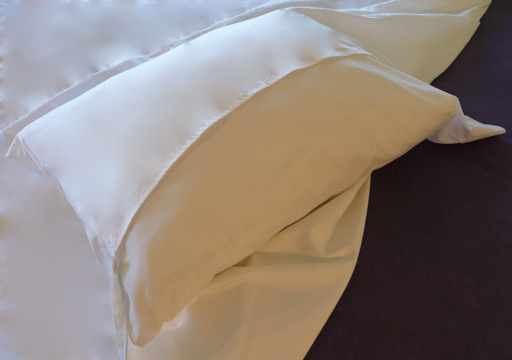 Allersac was designed to help shield you against allergens, bedbugs, lice and unclean bedding. Check our links page for more facts and information. 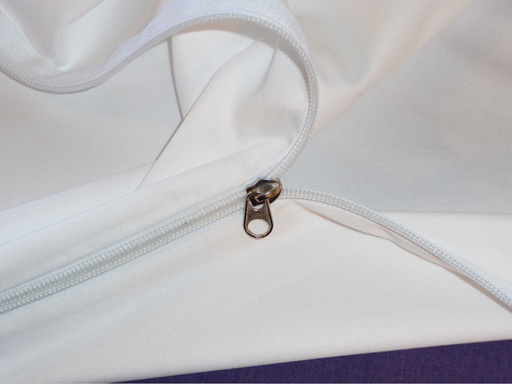 Care and Cleaning: Allersac is unique, it's the only travel sheet designed to be washed in hot water (up to 60C / 140F) and dried on a high heat setting in your household dryer. Heat (water and air) is the only safe and reliable way to inactivate and remove allergens and pests. Shrinkage will occur (about 5%) after the first wash cycle. The pores (spaces between the threads) will get smaller and the weave will tighten, adding to the effectiveness of Allersac. Once Allersac has gone through the first shrinkage, it will not shrink any more. Due to its initial oversize dimensions, even after shrinkage, it's still bigger than any other product of it's kind, giving you roomy, non confining barrier protection. 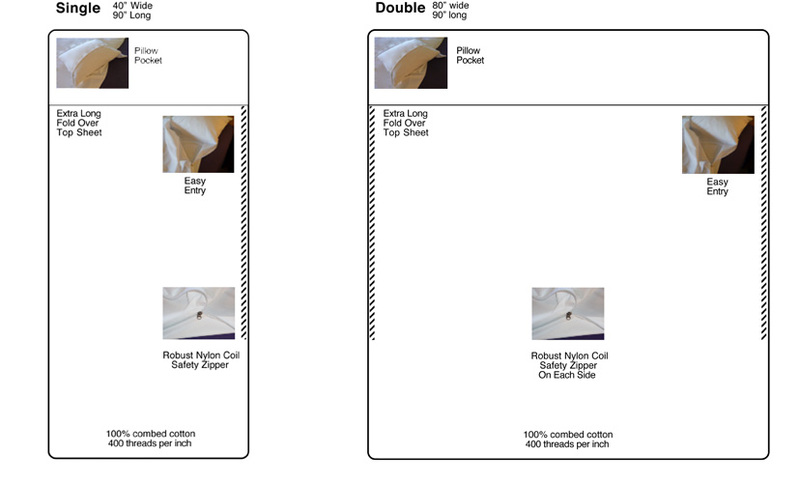 Because Allersac is made of 400 thread per inch 100% combed cotton, it is comfortable and breathable.